This combined zoo and marine park is the largest in Thailand and one of the largest in the world. Highlights include a drive through the open wildlife areas, a crocodile garden, tapir garden, and jungle river cruise. Daily shows are available, making this both theme park and zoo. These include orangutan boxing, stunt shows with cowboy and spy themes, sea lion, lion, and tiger feedings, and much more. The park is very large, and the activities are vast and diverse. See trip reviews & prices. 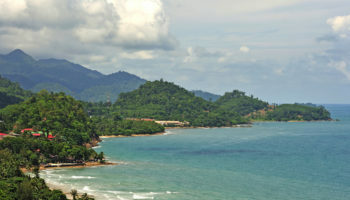 This “coral” island has six beaches with a number of different watersport activities to choose from. It is an easy ferry ride from the mainland Bali Hai Pear in Pattaya. Banana boat rides, jet-ski rentals, parasailing, snorkeling and even submarine rides are easily found here. The water is calm, blue, and great for seeing lots of tropical fish. Lots of restaurants are available near the pier where the ferry to the mainland loads. For those who want something less beach-centered, an outdoor shooting range for handguns can be found near the pier. 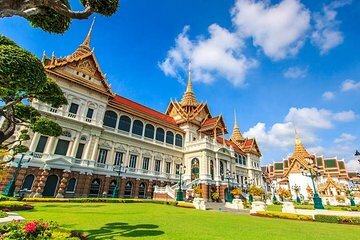 Dubbed the world’s largest outdoor museum, Ancient Siam (Muang Boran) features over one hundred replicas and reconstructed versions of many of Thailand’s most iconic structures. 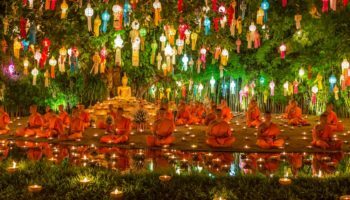 Highlights include the Grand Palace, the garden of Rocket Festival characters and an entire relocated Northern Thai village. All works were coordinated with the National Museum for accuracy. 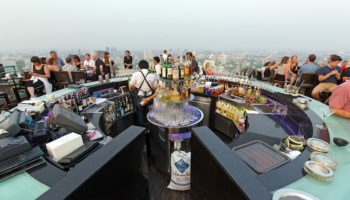 The owner tried for geographical accuracy as well, and the grounds are laid out in the shape of Thailand, with monuments in the general proximity of their originals. The theme park is located approximately an hours drive out of central Bangkok. 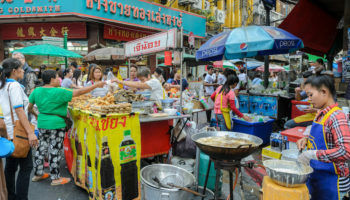 To get an idea of what shopping in Bangkok used to be like before all the canals were filled in, many people take a day trip from Bangkok to one of the floating markets outside the city. Though today floating markets typically function as tourist attractions and community meeting places rather than vital aspects of local farming economies, they still remain vibrant places filled with delicious food. 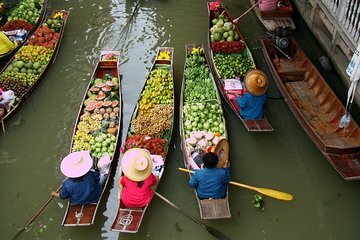 The most popular floating market for foreign tourists is Damnoen Saduak while most Thai favor the Amphawa Floating Market. Located about 175 km (110 miles) northeast of Bangkok, this protected monsoon forest region is the largest remaining ecosystem of its kind in Thailand. Khao Yai is a beautiful example of what the region looked like before urban and agricultural influences changed the lands. The park’s terrain includes five ecological regions, including evergreen rainforest, semi-evergreen rainforest, mixed and hill deciduous forests, and reclaimed savannah and secondary-growth forest. It is home to almost 400 species, including a group of over 200 elephants. One of the largest populations of Thai hornbills is also a favorite sighting of guests here. Though many come to Thailand to see the culture and beaches, this village is best known for its WWII memorials. The city was occupied by the Japanese, and was the location for one of their POW camps. Kanchanaburi is the starting point for a rail system to Myanmar that was built by these POWs, and is for many an introduction to the less touristy western part of the country. 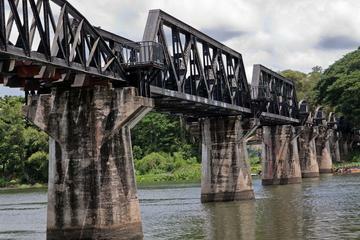 The famous bridge over the river Kwai is also located here, a highlight feature in the story and movie that came out of this camp. The city is spread out, but bikes and scooters are easy to find and rent to explore. 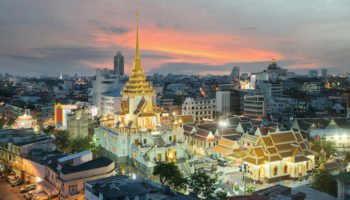 This ancient Siamese capital is a must-see for anyone who loves historic sites. In the 1700’s, at a population of over one million, this island at the confluence of three rivers was the most populated city in the world. 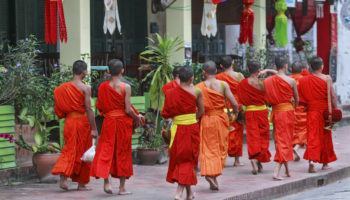 Though the city has not been the capital for over 250 years, it still maintains several functioning temples, and has a large number of recently restored major buildings. 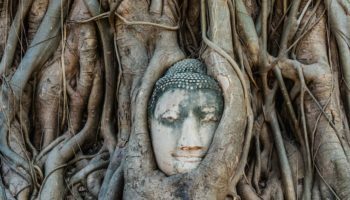 One of the most popular sites is Wat Phra Mahathat where a sandstone Buddha head is entwined with the roots of a Bodhi tree. Ayutthaya had a reign of over 400 years as Siam’s capital city, until Burmese forces ransacked most of the city’s treasures and left it in ruins.